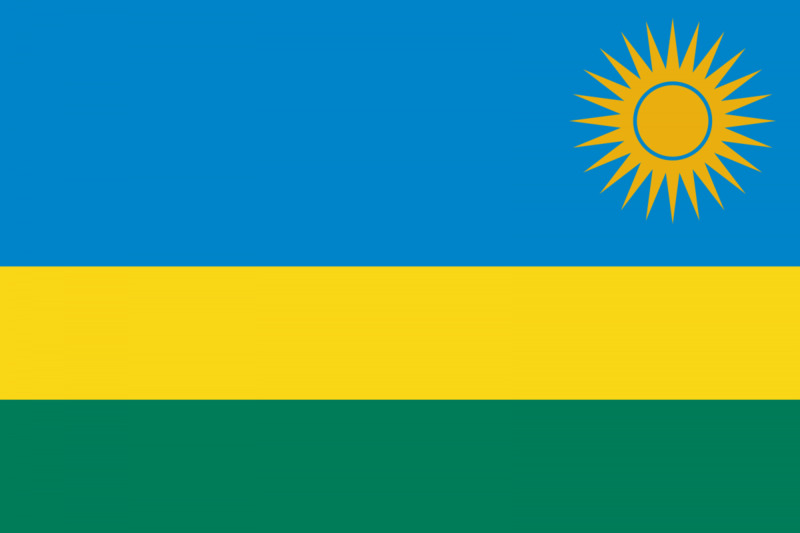 The Rwandan NAP was developed for the period 2009-2012. The NAP’s development was led by the Ministry of Gender and Family Promotion, in collaboration with different stakeholders from public, private, civil society institutions and United Nations Agencies. The process included a baseline study and participatory workshops which sought to identify the key priorities of the NAP. The NAP is strategically linked to existing efforts to mainstream gender and promote women’s role in political and security decision-making. The Rwandan NAP includes a background section outlining the basic institutional and legal framework of Rwanda, including details on the social welfare system of the country. It even identifies good practices such as adopting a National Gender Policy to illustrate the positive strides the country has taken prior to the adoption of a NAP. Moreover, it highlights six key challenges, of which the lack of a UNSCR 1325 NAP is one. The Rwanda NAP is the only NAP to include a chronogram illustrating a specific timeline for implementation. It also includes one of the most specific budget estimates, which is specified by sub-activity and year (Miller, Pournik, & Swaine, 2014). The NAP was developed within a post-conflict and recovery context, following the 1994 genocide. In 1994, members of the Hutu ethnic majority in Rwanda murdered about 800,000 people, mostly of the Tutsi minority. The genocide spread quickly. Local officials and the Hutu Power government incited people to take up arms. By the time the Tutsi-led Rwandese Patriotic Front gained control of the country through a military operation in early July, and created 2 million more refugees (mainly Hutus) from Rwanda, exacerbating the humanitarian crisis. While Rwanda's NAP quotes the UN Resolution calling on all states to control the flow of weapons and support disarmament, displacement, reconstruction, and reintegration efforts, the Rwandan NAP does not mention disarmament in any of its activities. WILPF International does not have a country section in Rwanda and therefore was not involved in the development process of Rwanda’s NAP. Civil Society was involved in the development of the Rwandan NAP which included Femme/Twese Hamwe, Umbrella Human Rights Associations (Collectif et Ligue des Associations des Droits de l’Homme), Pro Femme/Twese Hamwe National University of Rwanda, and Center for Conflict Management / CCM. Civil Society has a clear ongoing role in the implementation and review of the NAP through the Steering Committee. The women’s organization Pro Femme/Twese Hamwe is the Secretariat of the Steering Committee board and the only Civil Society actor represented. The Priority area ‘Coordination, follow-up and evaluation of the activities’ also stipulates that the Steering Committee involves Civil Society in the implementation of the NAP. This is linked to a qualitative indicator only, (‘number of participants’) and does not enumerate the role, extent or method that Civil Society will be engaged in the implementation process. Women’s Civil Society Organizations are also actively engaged in supporting implementation, oversight and monitoring of the NAP independent of formal government processes. For instance the Rwanda Women’s Network, in collaboration with the Global Network of Women Peacebuilders (GNWP) concluded a national monitoring review on implementation of the NAP which you can view here. In-Country Civil Society Monitoring Report Recommendations are as follows: While Rwandan women have played a positive role in lobbying for the revision of discriminatory laws, they should use the same strategies in order to fully participate in conflict prevention and resolution mechanisms. This analysis found it glaring that few women featured in peace negotiations, though women have been instrumental in driving forward peace and reconciliation processes within their communities. Civil Society should establish robust advocacy campaigns to ensure that the government and the international community are meeting their obligations to provide the necessary support and training for services at the local levels. They should also seek technical assistance from multilateral and bilateral donors and international NGOs to enhance capacity. The latter requires a sustainable partnership that is result oriented. Civil society should also monitor the national government on implementation and enforcement of relevant legislation, and quality of programming, and hold government accountable through whatever safe, effective means available (e.g., publications, media, demonstrations, meaningful engagement of international advocates). On its part, the government should consolidate related efforts being made by different government ministries and agencies and coordinate policies, programs, and monitoring and evaluation. It should seek to effectively implement and fully fund national policies and legislation to ensure women’s participation at all levels, through promoting community focused prevention of violence and conflicts which are community driven. This includes committing to programming that addresses harmful social and gender norms. The Rwandan NAP assigns government ministries to specific activities. These include: Ministries of Gender and Family Promotion, and Local Administration, National Women Council, GMO, Rwandan Defense Forces, Forum of Rwandan Parliamentarians, and the ministries listed above and below. The Rwandan NAP is organized into five "priorities". They are: Prevention of Gender-Based Violence Protection and Rehabilitation of Survivors’ Dignity Participation and Representation Women and Gender Promotion Coordination, Follow-up and Evaluation of the Activities. Each priority has a "commitment" and a set of objectives. For example, for Priority III - "Participation and Representation" - they give the following commitments and objectives: Commitments Rwanda is ready to follow provisions of the Constitution concerning women’s participation in all decision-making organs; Rwanda will put in place specific mechanisms which encourage women’s participation in conflict prevention, management and conflict settlement Rwanda will ensure that women are represented in diplomatic and peace negotiation missions at national, regional and international level. The Rwandan NAP covers the period 2009-2012, and a set of timeframes for specific activities can be found in the detailed budget. Years with designated funding, are years that the activity will be carried out, and likewise, years without funding the activity will be completed (or not begun). Coordination, Follow-up and Evaluation is the Rwandan NAP's fifth Priority Area. Activities include the provision of quarterly reports and to provide an annual evaluation reports and the development of a monitoring and evaluation system. It is not stated in the NAP if these documents are to be made publicly available or disseminated beyond the Steering Committee and concerned Ministries. A Steering Committee was established with the mandate to follow up the implementation of the above action plan also comprised of public, private, civil society institutions and United Nations Agencies. The Steering Committee is chaired by a Board made up of: Chairperson: Minister of Gender and Family Promotion; First Deputy Chairperson: Ministry of Foreign Affairs; Second Deputy Chairperson: Ministry of Defence; Third Deputy Chairperson: Forum of Rwandan Women Parliamentarians; Secretariat: Pro Femme/Twese Hamwe. Pro Femmes/Twese Hamwe is the only Civil Society actor represented. The Rwanda Women’s Network, in collaboration with the Global Network of Women Peacebuilders (GNWP) concluded an independent national monitoring review on implementation of the NAP which you can view here.